I've spent half of my life living in urban areas and the other half in small rural communities. Mulberry, Indiana, was a special place. For most of my adult life, I have lived in mid-sized cities with populations of 500,000 to 1,000,000 people. 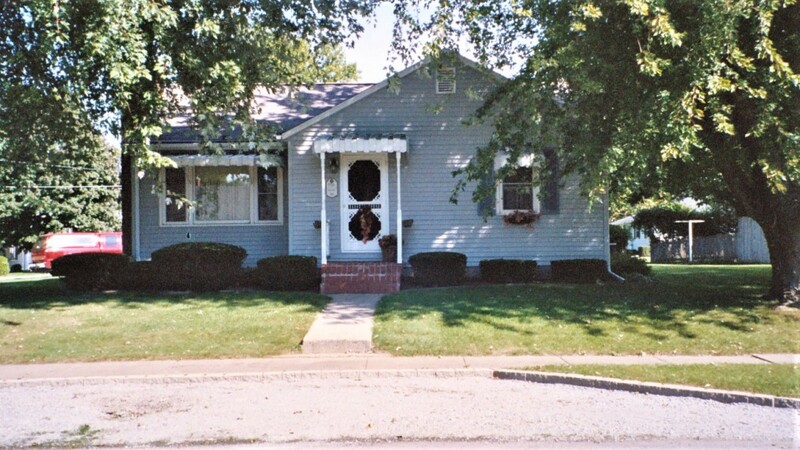 All of that changed in 2006, however, when I moved to the small town of Mulberry, Indiana. 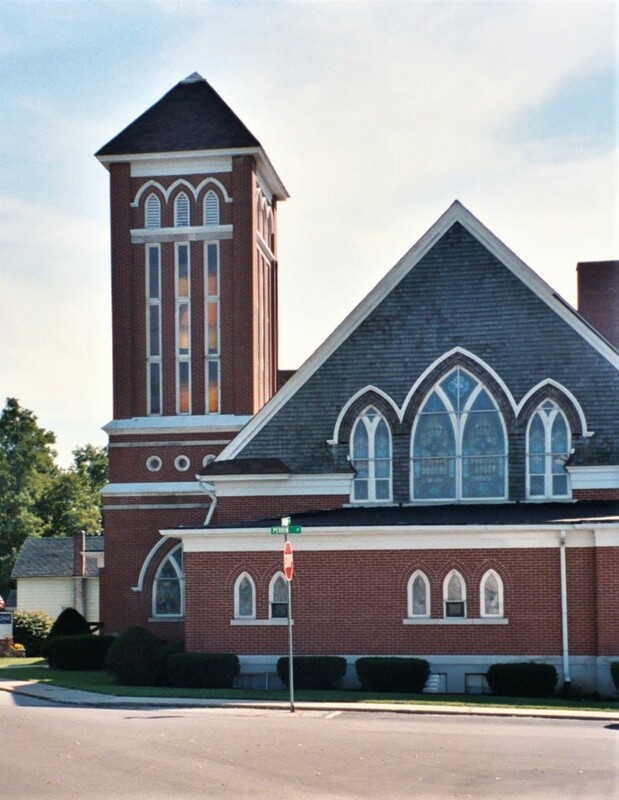 Because I know many people who have never experienced life in a small town, I wanted to put together this page to give them a flavor of what it's like and to introduce them to Mulberry, Indiana. It should go without saying that each small town is different. Many small towns in Indiana, and probably in other states in the US as well, struggled a great deal in the last half of the 1900s. Much of the population left for more urban-type areas where job opportunities were greater. Stores and other businesses dried up as shopping malls and "superstores" lured customers away from local business, and towns were often left to languish. Farms struggled and railroads disappeared. Of course, some towns survived and even experienced a rebirth. 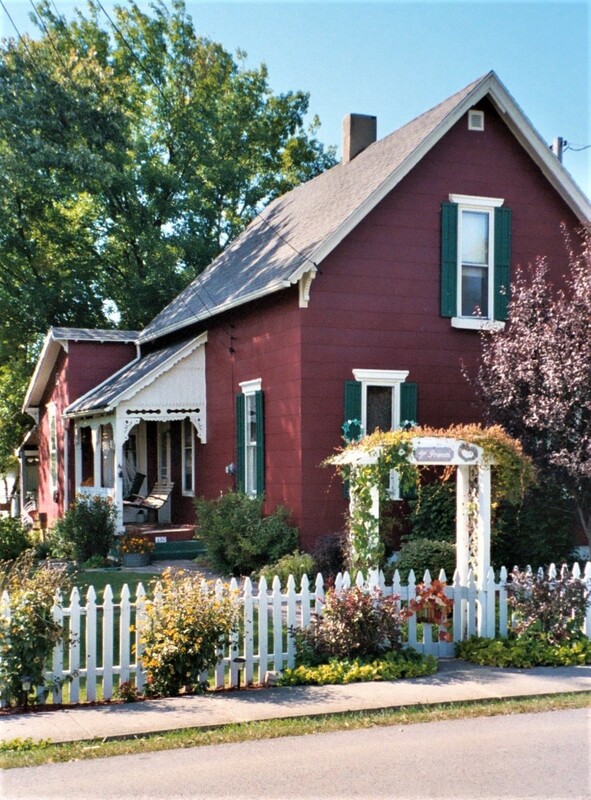 There are small towns that, due to their proximity to larger cities, became quaint and sought-after bedroom communities. Others capitalized on their history and became popular tourist destinations. The story of Mulberry (at least to date) lies somewhere in between the success of tourist towns and those that completely disappeared or fell into decay. The history of Mulberry seems to mirror that of many small towns in Indiana. It had its start in 1856 with a country store in a log house owned by Thomas Waldron, Sr. Many of the settlers in the town were of German heritage. Homes and other businesses gradually followed. The first electric company was founded in 1880 and gave residents power through the use of a steam generator which provided electricity for lighting only between 7 a.m. and 9 p.m.
Several railroads reached Mulberry by the 1870s. The Interurban was an important part of Mulberry's history. The depot for the Terre Haute, Indianapolis & Eastern Traction Company line was in place from 1902 through 1930. 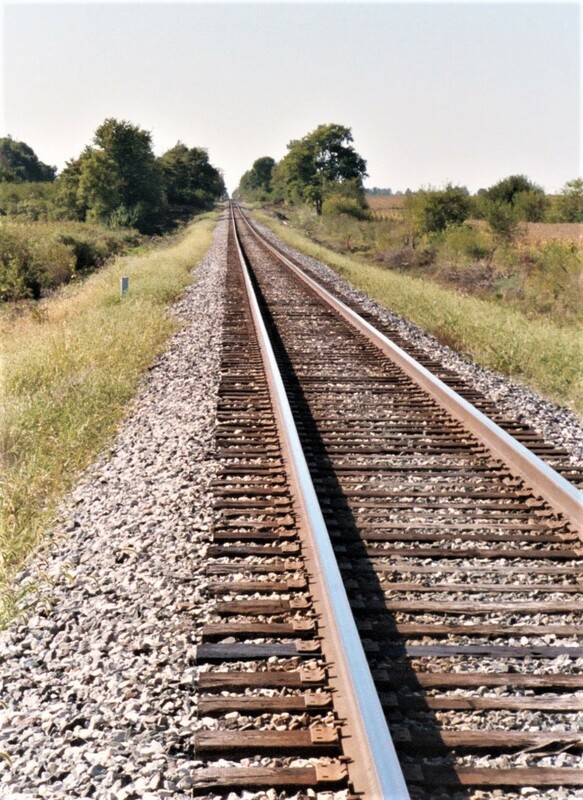 The electric line was both a passenger and freight train taking livestock, people, and goods between Frankfort, Mulberry, and Lafayette. Later, the depot served as the Greyhound bus station until 1960. Other early businesses included a sawmill, lumberyard, a well-known creamery, hardware and dry goods stores, a few hotels, grain and livestock businesses, drug stores, bakeries, and in 1901 the first Mutual Phone Company. In 1888, the Jay Grain Seed & Flour company had it's beginning. It has changed hands over the years and is now Mulberry Feeds, Inc. Later Mulberry also had such businesses as a jewelry store, furniture store, and a dance club. Mulberry also once had a well-respected newspaper. The Mulberry Reporter was published each Thursday from 1890 to 1972. In the first quarter of the 1900s, John Russell Stair opened an airport on land just outside of Mulberry. He later organized the Mulberry Flying Club and also trained a number of World War II pilots. Among his more notable students were Roger Chaffee and John Glenn. The airport closed in 1960. Mulberry's population hit 817 in 1938 and surprisingly enough was then the second largest town in the county and was reportedly the wealthiest town of its size in the U.S. In 1905. a church-based academy was opened in Mulberry. Later named the Weidner Institute, it became a junior college. It ran for a couple of decades and closed in 1927. A 14,000 square foot "home for the aging" was then opened with a new building being built in 1975–1977. The well maintained "retirement home" and cottages are still in operation to this day. The Town Hall was erected in 1957. For many years Mulberry also had it's own high school. The first school was built in 1878 with a new school constructed in 1904. Mulberry High School was closed in 1961 and the elementary school followed suit in 1985 as several districts consolidated. The old brick building still stands although it is not maintained. The Mulberry Community Library had its beginnings in 1937. With continued success, the library opened it's most recent, 5,000 square foot facility in 2001. Mulberry has an approximate population of 1,400. Yes, that's right, one thousand, four hundred people; no zeros are missing. 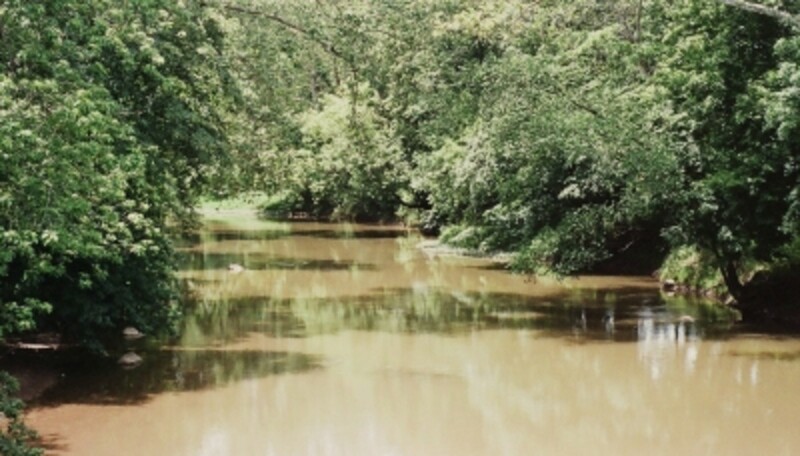 It's located in Clinton County and lies approximately 13.5 miles southeast of Lafayette, Indiana. The proximity of the cities of Lafayette and West Lafayette, which have a combined population of over 156,000 people, provides easier access to shopping, entertainment, and other services. Mulberry has a post office and a telephone cooperative, one beauty salon and tanning center, a bank, three churches (Lutheran and Methodist), a Fire Department, an assisted living/long-term care facility, a police department/Marshal, a gas station/convenience store, one family restaurant/pub, a pizza place, a public library, and a liquor store. There are a handful of other businesses but no retail stores. 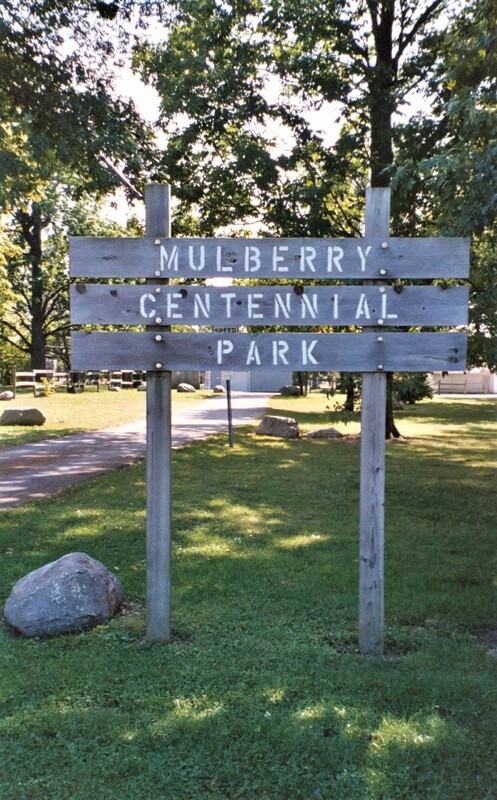 Mulberry Centennial park offers a playground, tennis courts, and softball fields as well as a picnic area and is the site of the annual chicken and pork chop cookout, July 4th fireworks, and similar events. In 2008, Mulberry observed it's Sesquicentennial with a week-long celebration. Although some rural areas are unable to offer residents services such as cable TV and high-speed internet, Mulberry does have access to these modern conveniences. With the majority of businesses and professionals such as doctors and dentists leaving the area quite a number of years ago, Mulberry has suffered like so many small towns. Many of the sidewalks are in disrepair, some buildings are vacant, and a number of homes are used as rentals and not well maintained. Many new businesses still struggle to get a toehold in this small town. Despite the struggles, there are some positive signs in Mulberry. Some new development has occurred in the past decade, with a handful of new housing developments growing on the outskirts of town. A number of older homes have also been purchased and renovated. It's hard to know what the future holds for this small town, but eventually, it may find it's way back to a more prosperous existence. A slower pace. 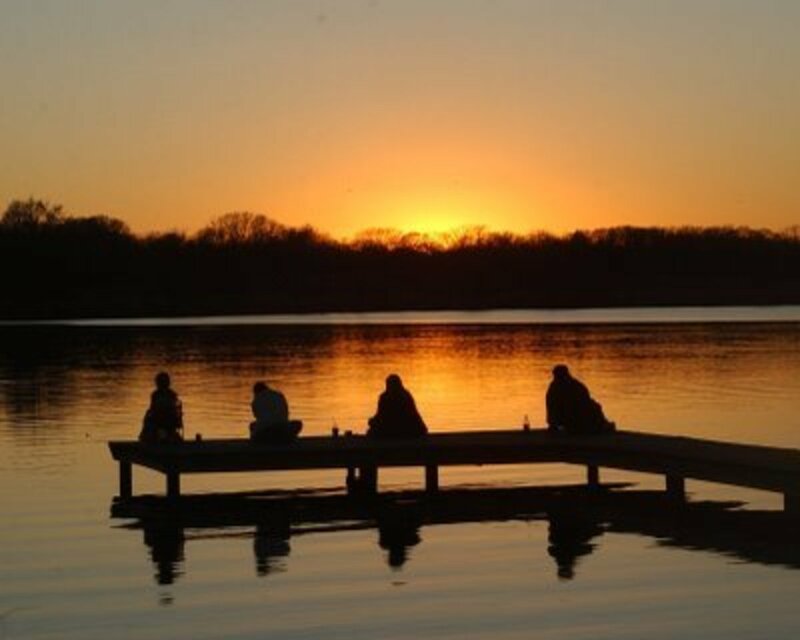 If you're searching for a more relaxed pace, small towns are a great place to live. Less traffic and less hurry are obvious. The downside is that if you like to have a variety of activities or cultural events to participate in, there are very few options. What's more, you are usually required to travel much further to find such things. A connection with the community. In my experience, it's a bit easier to meet your neighbors and get involved in local events in a small town. I've lived in a number of places throughout my life, but Mulberry is the only place where I had people come to my door to introduce themselves and welcome me. For some people, however, the loss of anonymity isn't welcomed I suppose, so it has to be something that fits your lifestyle. Socialization, however, does seem to be optional; it would seem that if you prefer your privacy, it would be respected. Cost of living. 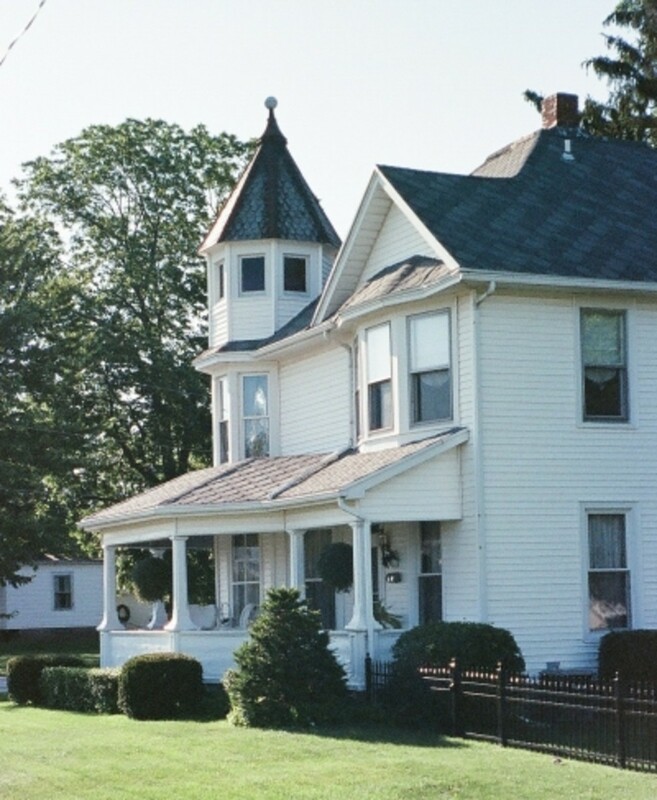 The cost of living in a rural, small town tends to be much lower than the national average. The price of land and housing, in particular, is more affordable. Fewer job opportunities. Clearly, the job opportunities in a town of 1,400 people are pretty minimal. Losing a job is therefore even more critical and unless there is a city nearby, moving is often required unless a home-based business or telecommuting is an option. 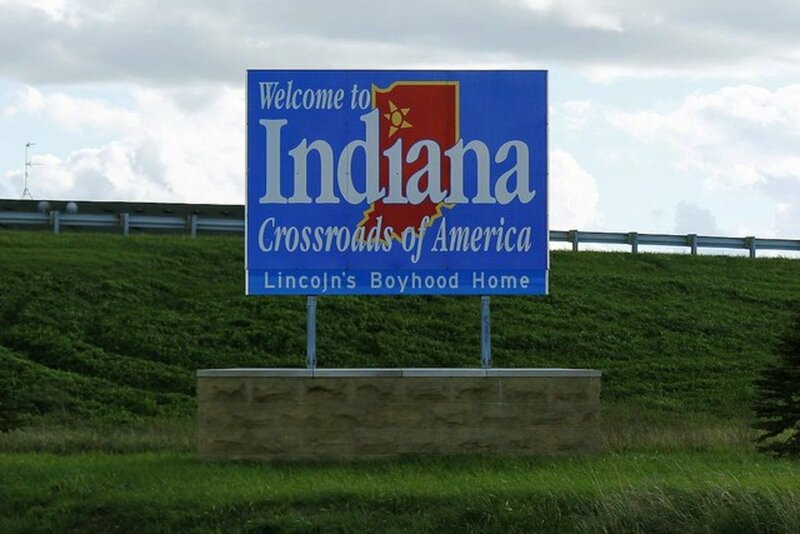 Both Lafayette and Frankfort, Indiana, are an easy drive from Mulberry and provide more opportunities for employment. Diversity. Like many small towns, Mulberry has a fairly homogenous population as far as race and religion. For surrounding towns that are a bit larger, it does seem that diversity is increasing somewhat, particularly with the influx of the Latino population. Access to the necessities. It depends on the town of course, but Mulberry offers no grocery store. 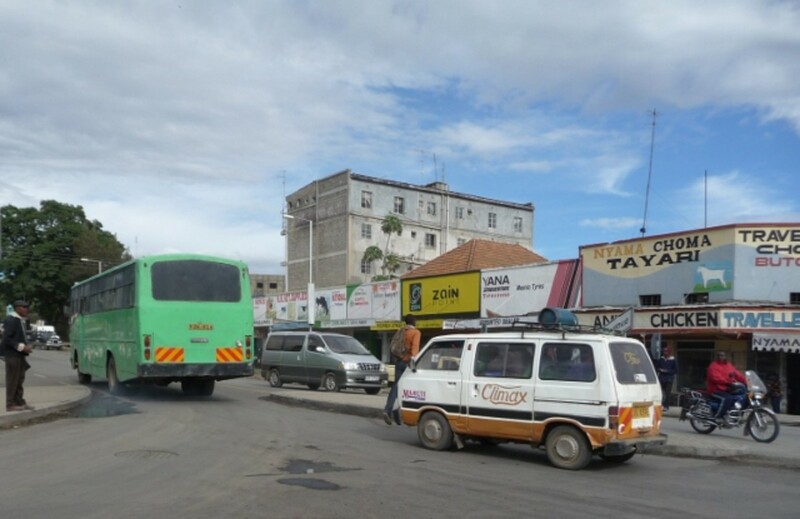 Access to a hospital, physician, and similar services is also limited, although such things are available in neighboring towns. Transportation. There is, of course, no mass transit and very little is within walking distance. Most of the roads in the area around Mulberry are paved but do require caution. In the winter, many of the county roads surrounding the town are not among the ones that are cleared early or well. 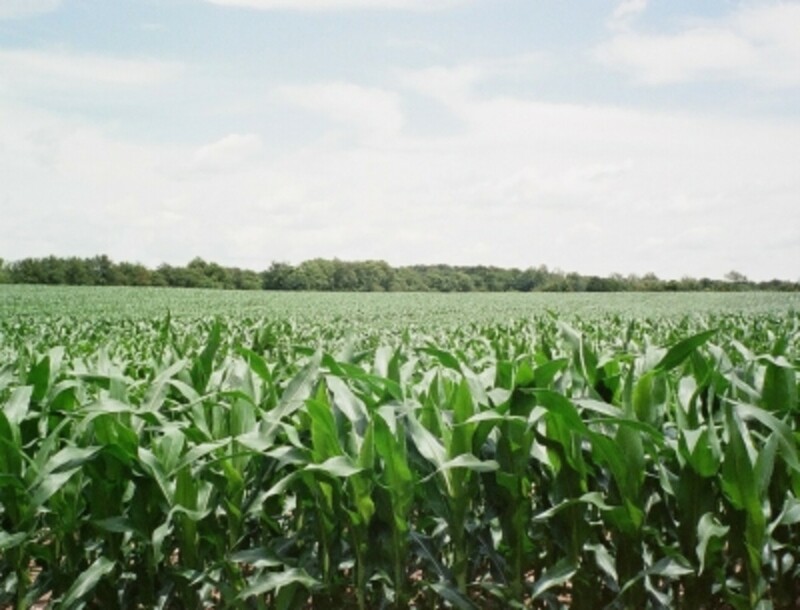 In summer, they can be somewhat hazardous as corn that has grown tall can severely restrict your view of cross traffic at intersections. In the evening, it is also important to be alert to animals on the road. Deer, of course, are the main concern, but even cows that have found their way out onto the road can be extremely dangerous if you don't see them in time. 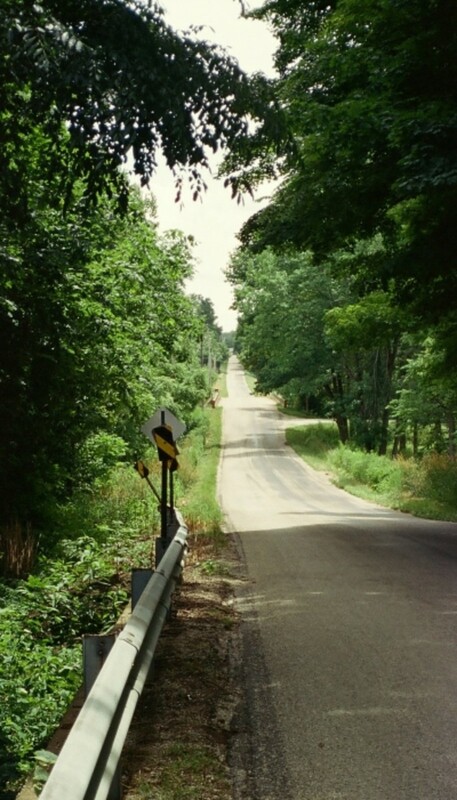 The amount of traffic on county roads is not heavy, but newcomers need to keep in mind that many drivers on these narrow roads drive at 50 mph or more. Lower crime rate. Mulberry has negligible crime and no violent crime that I could find reported. Corn and bean fields surround Mulberry. Alfalfa and wheat also dot the landscape. 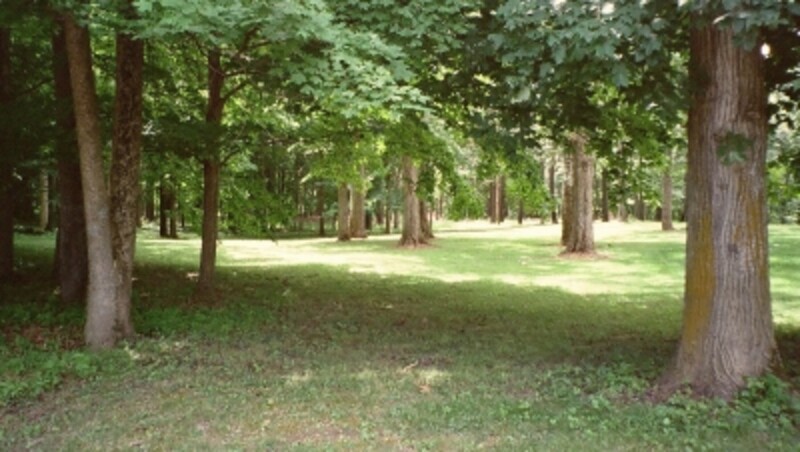 Wooded areas often break up the crop fields. 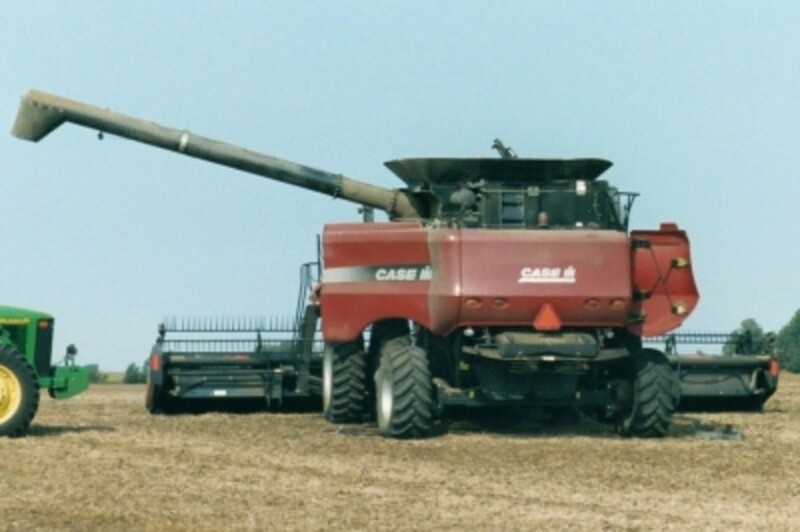 Cars and farm equipment share the county roads surrounding town. 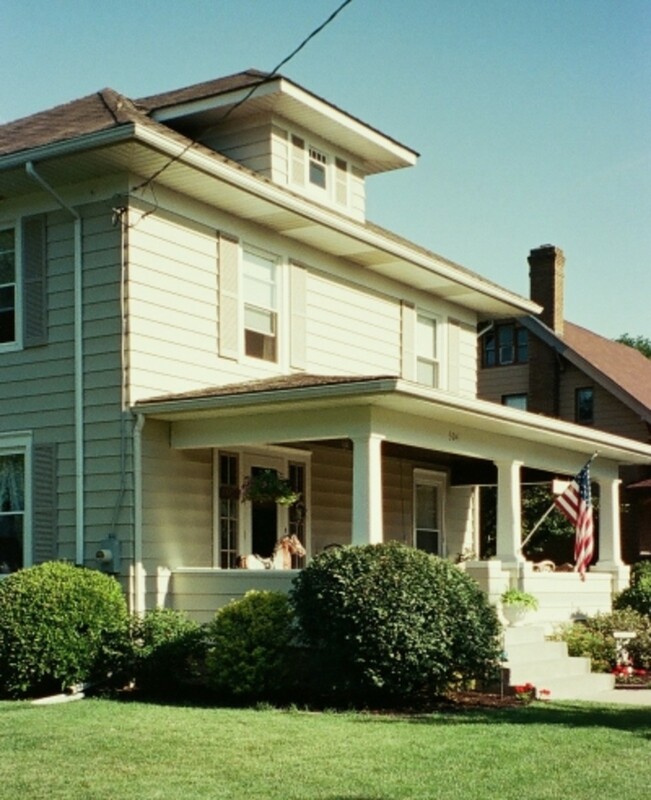 Most homes in Mulberry are more than 50 years old. The streets are quiet. This is along Glick Street. 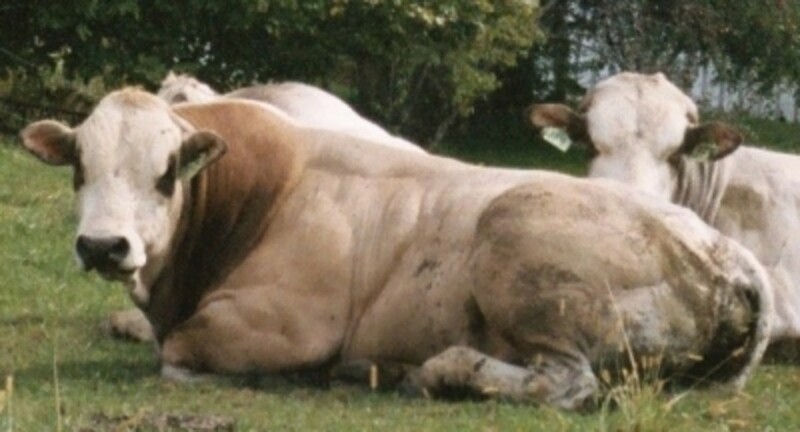 Cows and swine are common livestock. 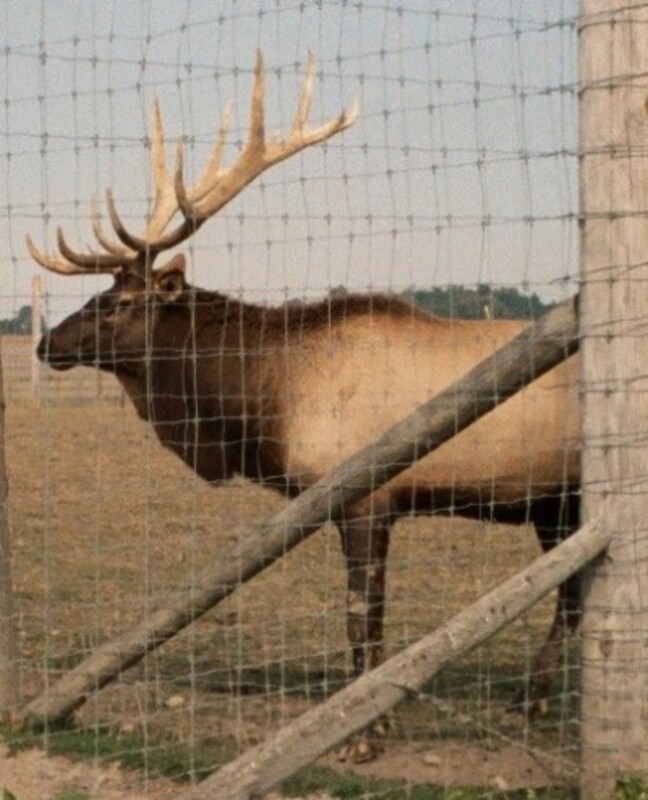 Elk and llamas are less common. John R. Riggs spent most of his early years in Mulberry, Indiana. He has written a successful series of mysteries based in this town, although the books identify it as a small town in Wisconsin. He has authored 13 mysteries; Last Laugh is the first of them, which follows main character Garth Ryland, a newspaper editor, in his search to unravel the truth. Riggs has credited his teachers in Mulberry for inspiring him and giving him the tools to find success. Mulberry, Indiana: Let us know you stopped by! Shirley Ann Parmeter: I probably know someone who was perhaps your mother's nephew (or something like that) I'm basing that assumption on the name. I had a next-door neighbor by that name for several years and his family lived in that area all of his life. My mother was born in Mulberry in 1919, and lived with her grand parents, Lawrence and Mae Waldron. Mother had a brother Donald "Billy" Lee. Mothers name was Irene Virginia Lee, their father`s last name. Great grandfather and great grand mother had two sons, Morris, and don`t remember the other one`s name, and a daughter, Ruby Mae. My great grand father Lawrence was town trustee. I know Uncle Morris had children Bobby and Donna and would like to find them. I was wondering if there are any pictures of South Glick Steet in mulberry around the old school I live on the corner of Glick and 1st. and when we were up in the attic we notice some burnt wood and wondered if the house was made smaller ?? I enjoyed reading about Mulberry, Indiana. The pictures are beautiful. Thanks for sharing this wonderful lens. Can anyone support "J.R. Stair giving early flight training to Chafee and Glenn"? I was a member of Mullberry Flying Club along with Paul Plunket and John Starcher. Stair was my flight instructor and he also gave my 10 year old brother short instuction flights. My late brother retired as Captain from Delta. I love small towns. Thanks for such lovely photos of your special place! this lens is GREAT! very well put together:) i used to live in clinton county and have many similar photos to the ones you have on your lens. also, my gma used to reside at the mulberry lutheran home there. 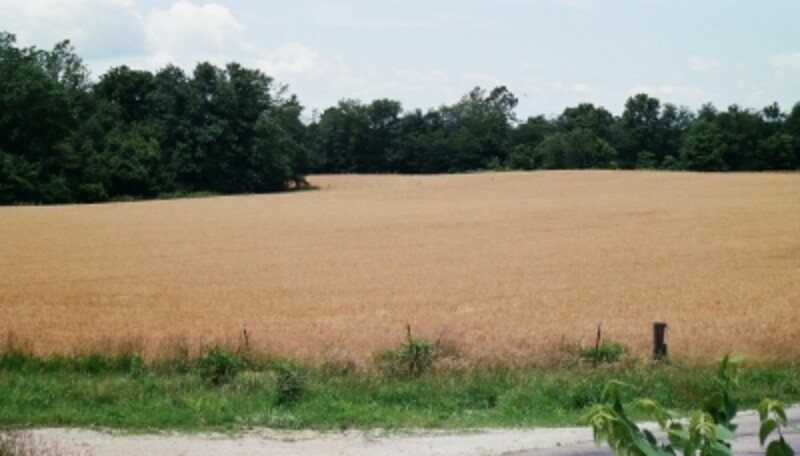 mulberry indiana is nice and quiet and im glad you get the oppurtunity to live there! your lens made me miss it. I see your blog this is nice. you want a best passanger side mirror/a&gt; please visit our site. i live in a even smaller town. it is clayton,IN the population is only 893 people TODAY! 1,000 or more people is a huge town! Very interesting lens...sounds like a great little town to live. On a recent drive through the Indiana countryside photographing covered bridges, we found the people to be exceptionally friendly. i'm trying to find info. re a restaurant owned?/operated? many years ago by The Martz' (Emerson (Speed) &amp; Berniece) in Mulberry. While working on a project for my class, I stumbled on your page. I am a fan of Squidoo, and enjoy searching through the lenses. I taught in the old Mulberry School from 1978-1982, and have lived in Mulberry since 1990. You did a great job on your lens- nice photography, too! I thought you captured the essence of the town very well. Where did you find the info that Pop Stair taught John Glenn to fly? I have seen the verification that Roger Chaffee was a student of Pop's, but nothing about Glenn. I live in a small village in France now but have always lived in small places wherever that has been, much nicer than a large city where no one really speaks to one another. [in reply to claire] in fact the high school closed in 1961, my dad was in the first graduating class of clinton prairie high school. the school closed as an elementary school in 1985 with my younger brother being in the last graduating 6th grade class there. This lens is great. We really enjoyed the history. Thanks for the hard work. Claire, you had a very nice post, but in fact I can confirm that you are indeed wrong about one of your facts, Mulberry Grade School didn't actually close until 1985. This is proven as I know people that attended in the last year of school there. 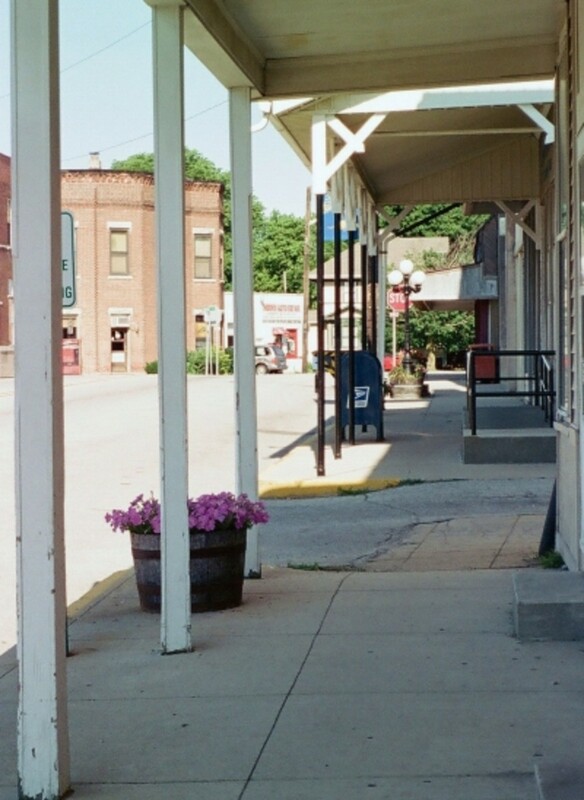 A picture of Mulberry shows up on the Vintage Flying website, and seeing that photo of a peacefull small town made me long for my childhood. I would like to raise my children in a place like Mulberry. This is a very cool lens. I have never lived in a small town, but my husband grew up in one. It is very different. What a great idea for a lens. Wonder if there is a place called "AJ" or "Always Juggling"! You are really lucky to have a Post Office. Too many are closing down in rural locations in the UK. Part of my family hails from McCutchanville, IN, so I know how beautiful rural Indiana is. Excellent lens. 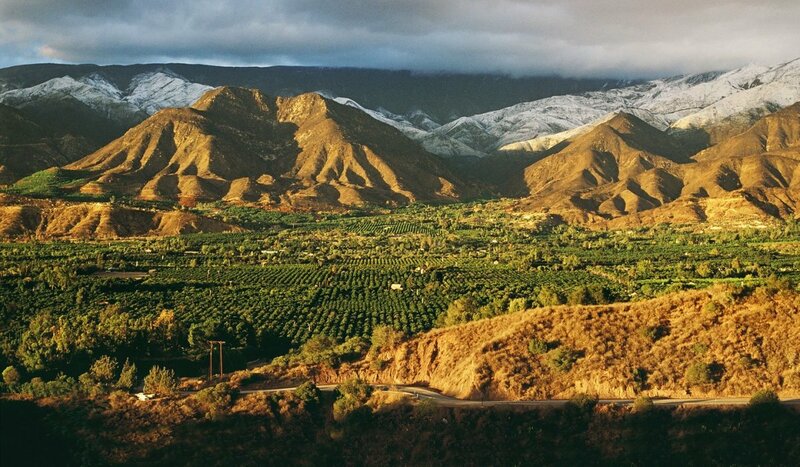 Actually it looks perfect, just where my husband and I would like to retire to. Great job. 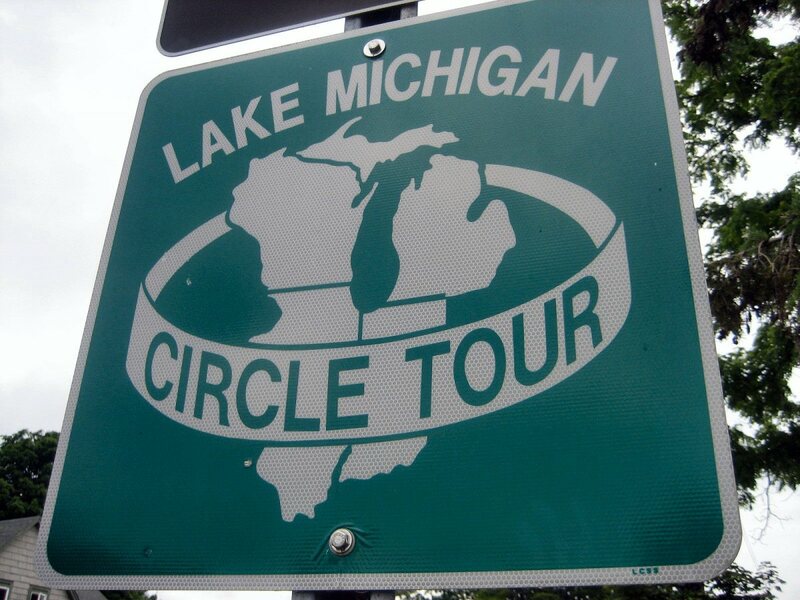 Great information on a small USA town loved reading about it. [in reply to claire] Thanks for the heads-up! I double checked my facts and indeed the HS closed in 1961 while it was the elementary school that closed in 1985. Thanks again! Loved the pictures! Just a correction. The Mulberry grade and high school closed in the mid 1960's, not 1985. And if you really want to get a feel for what living in Mulberry Indiana was like, you should read the Garth Ryland mystery novels by John R. Riggs who grew up in Mulberry. While the setting is called Ocala, WI, it is based on Mulberry, Indiana. Anyone familiar with old family names and businesses in Mulberry will certainly feel right at home. Very nice lens. Quite interesting! Enjoyed your glimpse of Mulberry, my hometown, even though I haven't lived there since 1965. 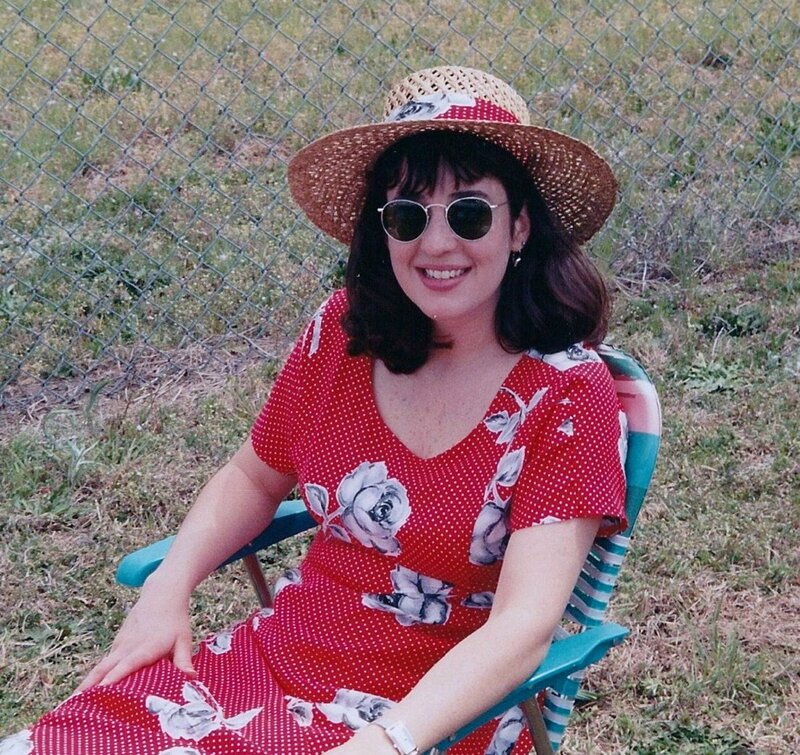 A group of Mulberry High School alums have created an online newspaper, "Mulberry Memories." Would you be interested in joining us? Ah, I knew that I was captivated by your name, but to find a small town with the same name. How awesome is that -- I would love to live there! 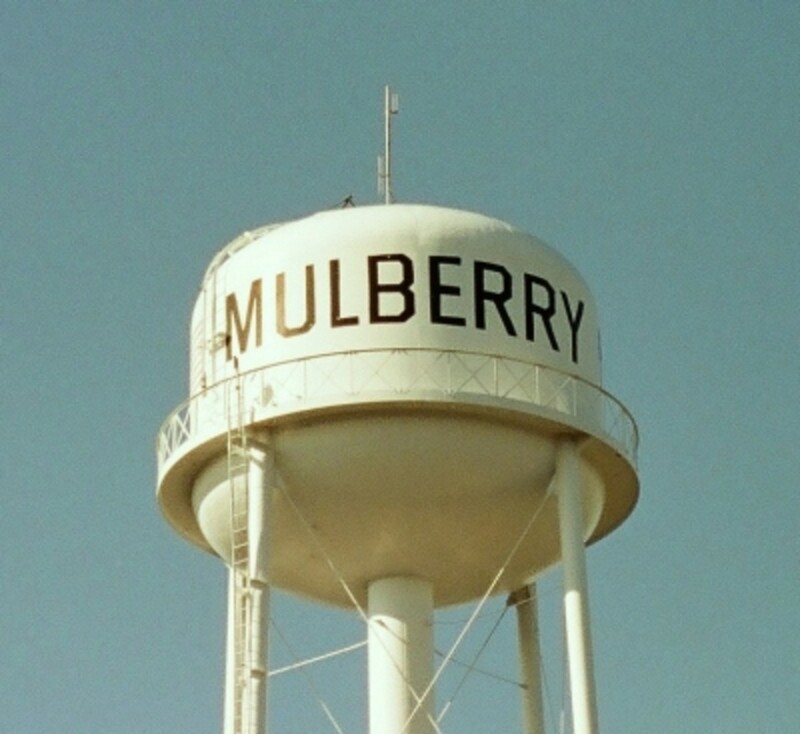 I spent many summers in Mulberry when I was growing up. My grandfather, Ray Clark, was the owner and editor of The Mulberry Reporter; his father before him ran the newsparer for years. His son and my uncle, Robert Clark, wrote copy and helped do everything else. My grandmother, Lela Clark wrote local color stories. My brothers and I spent quite a bit of time milling around the building and actually helping to get the paper out on Thursday nights in the late 50s and early 60s. My mother Joyce (Clark) Valentine, Ray's daughter, would fequently drive us the twenty minutes or so from Lafayette to visit. Thanks so much for featuring a town which means so much to me. I grew up in a small town and hope to move back to one when we retire. Very nice, love the photos!